For over 100 years, Southeast Missouri farmers have turned to Farm Credit Southeast Missouri for dependable credit at competitive rates. You are welcome to review our financial performance through our recent stockholder reports below. For a complete printed copy of the Annual Report, please call (877) 730-7327. To view the Annual Report you will need to download Adobe Acrobat Reader. 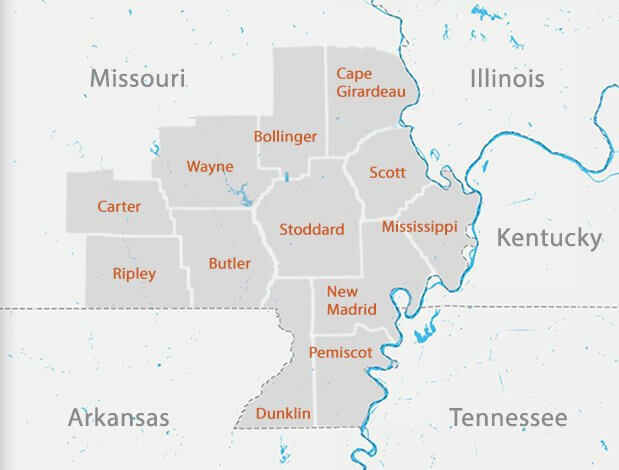 Notice to Stockholders: Farm Credit Southeast Missouri will publish its Annual Report on this website at the same time the annual report is submitted to the Farm Credit Administration, its regulator. This will occur within 75 calendar days of the end of Farm Credit Southeast Missouri's fiscal year, December 31st. Stockholders will also be mailed a hard copy of the Annual Report within 90 days of the end of Farm Credit Southeast Missouri's fiscal year.